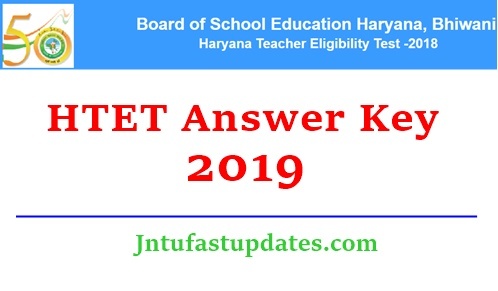 Haryana HTET Answer Key 2018 For Level 1, 2, 3. Post Graduate Teacher, Trained Graduate Teacher, Primary Teacher key download at htetonline.com. HTET Level 3 exam conducted on 5th january 2019 from 3pm to 5.30pm and Level 2, Level 1 Exams conducted on 6th January from 10am to to 12.30pm and 3pm to 5.30pm respectively. After Completion of Exam Students can Download question Question Papers and official Answer key sheets which will be provided by Coaching institutes and as well as from Official website which is mentioned links below. HTET Stands For Haryana Teacher Eligibility Test. This Examination Conducted By The Board Of Secondary Education Haryana And Also Government Of Haryana. The test is mandatory for getting teaching jobs in government schools from Class 1 to Class 8. Most states conduct their own TET. The test is conducted in order fulfill and achieve the goals of the Right of Children to Free and Compulsory Education Act. Htet Examinations Are Successfully Completed on January 5th & 6th 2019 Those Who Successfully Completed Your Written Examination In The Levels Of 1, 2, 3. The Aspirants Are Waiting For Answer Htet Answer Key 2019. As Per The Candidates Request Here We Are Providing Htet Answer Key solutions pdf 2019 for all sets.